There's not much knowledge around what Chinese Alligators eat in the wild and their specific diet, however previous stomach investigations of the species have been found to contain rats, bugs and aquatic molluscs (snails, mussels etc). Birds and small mammals may also be part of their diet too. 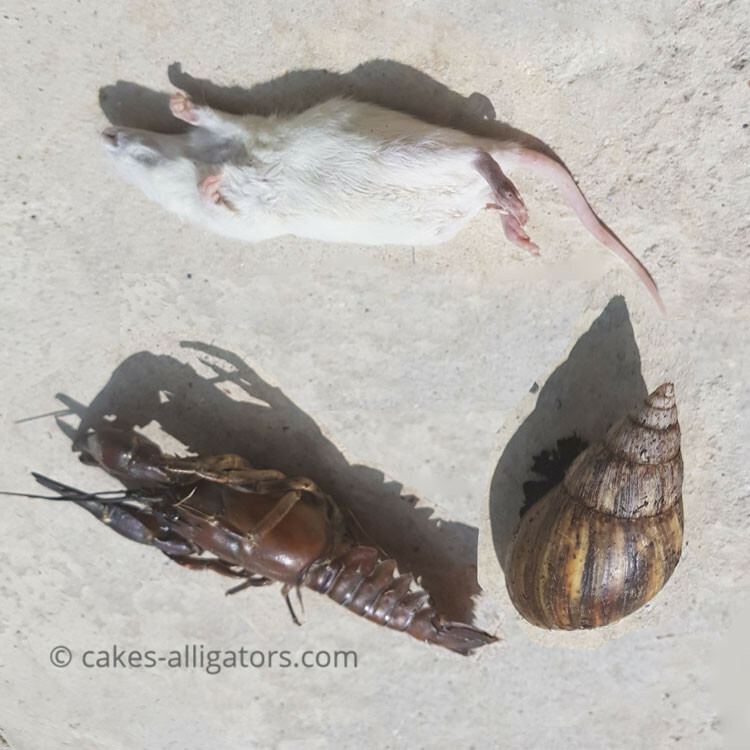 Above is a picture of part of the diet of our captive Chinese Alligators, which you'll see is as close to their known natural diet as we can get.